Barcelona hosted the 1992 Olympic Games. The Opening Ceremony is still vivid in my mind, especially the archer who shot a flaming arrow immediately over the cauldron high above the stadium to light the Olympic Flame, the first time the lighting of the flame deviated from the usual torch run to the top. 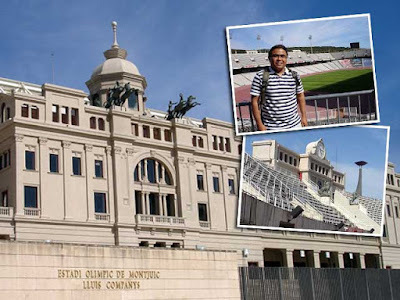 Thus, seeing the Olympic Stadium, the Estadi Olímpic Lluís Companys, and the cauldron on top when I visited Montjuïc was exciting. Montjuïc (or Hill of the Jews) has a storied past having been selected to host the 1929 International Exposition (World's Fair). 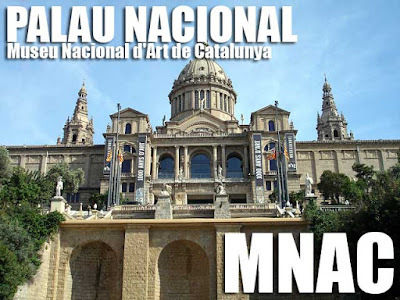 The surviving buildings from this event are the Palau Nacional, a grand structure which now houses the Museu Nacional d'Art de Catalunya (MNAC), a museum that holds the largest collection of Catalan art in the world; Estadi Olímpic (the Olympic stadium); Font Màgica fountains; and the Poble Espanyol, a showcase of architecture from all over Spain (just like Nayong Pilipino without the cheap and ugly replicas), among many others. The Olympic Stadium was said to be poised to host an anti-fascist Olympic Games as an alternative to the 1936 Berlin Olympics when the Spanish Civil War erupted. For a time, Montjuïc also hosted Formula One racing. The Spanish Grand Prix was held there for four times until a terrible car crash in 1975 that killed four spectators. After the 1992 Olympics, the Olympic Stadium has been the home of RCD Espanyol football team since 1998. 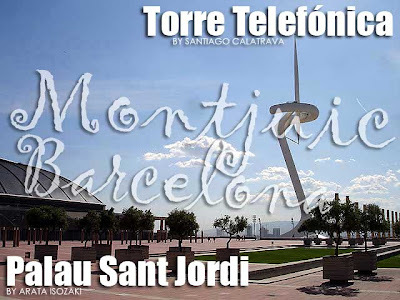 The Miro Foundation can also be found in Montjuïc. For two days, I got to ride on the Barcelona Bus Turístic, a tourist bus with an open-air second floor. It was a really good decision. It may seem expensive at first (it's 20€ for a day pass and 26€ for two days), but it is very convenient and a good deal! The bus ticket allows you unlimited rides on the three lines (Blue, Red and Green). The bus stops within meters of all major tourist attractions so it saves you a lot of time from walking. Although the Metro may be cheaper, the some stations were quite a distance from major attractions. So this is highly-recommended especially if you have a limited time in Barcelona.